In translation, Trachinotus means “rough back” while Falcatus means “armed with scythes”. So they are rough characters armed with large blades. So where can you find them? Anywhere from Massachusetts along the western Atlantic Ocean coast all the way to Brazil. This includes the islands of the Caribbean. But they are not native to the open ocean. On the contrary, you can find these fellas in shallow waters (flats and channels) with muddy bottoms, and even in some brackish areas. Since they can tolerate water with significantly less salt than seawater, it is possible that they may be found in areas where fresh water mixes with seawater. However, when in the open ocean, they tend to stay within the surf zone where they find a plentiful food supply of smaller, weaker invertebrates. 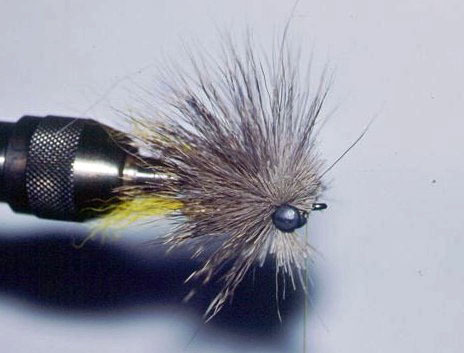 Permit spawn in late spring to early summer. In more tropical climates, they will spawn every month from February until October. Quite a randy aquatic candy, huh? Spawning occurs in open water and the larva live as plankton for about two weeks, when they reach the juvenile stage. Unfortunately, it is unknown where the juveniles live, but they can live up to 23 years as far as we know. The adult always return to open water to spawn. 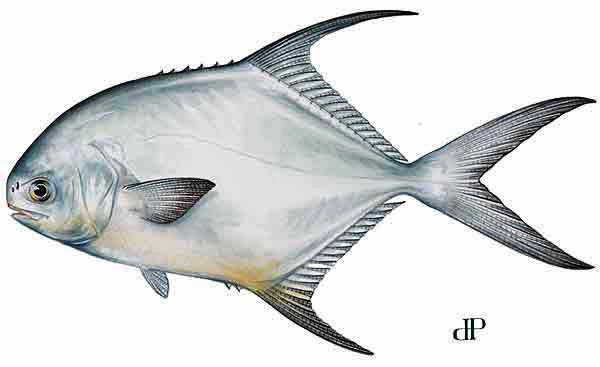 Permit are recognized by the dorsal and anterior fins being a bit longer than the usual, resembling scythes. The name “Falcatus” actually means “armed with scythes” in translation from the Latin. I wonder where that came from…Aside from that, there is a large yellow/orange coloration on the belly -- a dead giveaway that what you just landed is a Permit. What they eat and when. Our fish is a carnivorous rascal with an appetite for small crustaceans and any fish smaller than itself. So, yeah, they are a bit of a bully like their long distance freshwater cousins, the Pike. Well, they aren’t really cousins, but they do act the same way. They pretty much eat most of the time. Any poor, unwitting crab, shrimp or other small crustacean that wanders close by is likely to be invited to dinner. How we eat them and how to cook 'em. 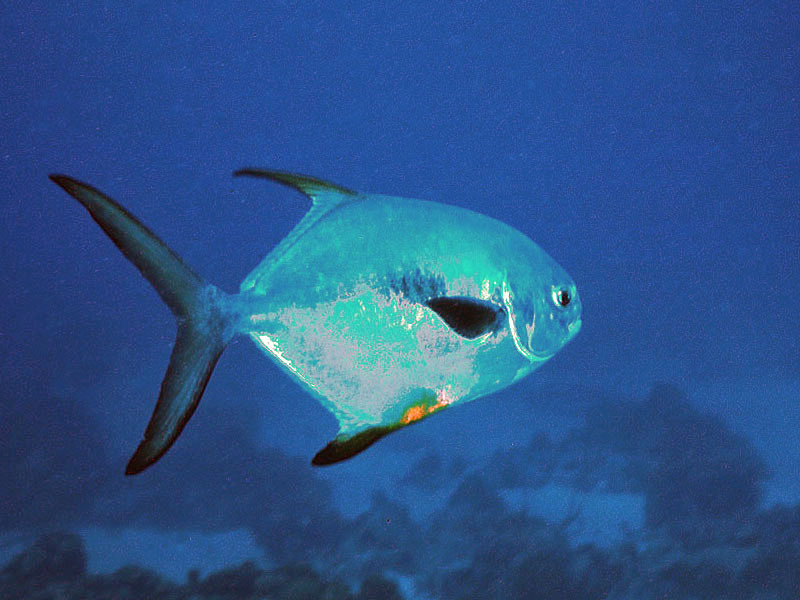 Like most fishes, they can be grilled, broiled, sautéed, or baked. A variety of seasonings can be used including seasoned salt, pepper, cumin, or lemon pepper. Others are good, too, but these are MY personal favorites. The meat is soft when cooked, so be sure to do the cooking in a pan that you can serve from as well. Other species like this one and the differences. Sometimes, certain grouper can be mistaken for Permit (maybe by Forest Gump, but not by me). The difference is the scythe shaped fins of the Permit and the darkened fins all around, AND the deep fork in the tail. Our fish also has a tall and a thin appearance from the front, much like other “bonefish”. This is one terrific fighter if you are lucky enough to hook onto to it. 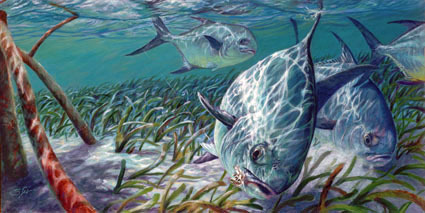 They are the most elusive of the sought after sport fish in the Florida Keys. I know from personal experience and frustration. Good luck!! For further information, please CONTACT US or visit our DISCOUNT STORE (coming soon).